Joe Cote is a piano technician who has been playing piano all of his life. A multi-instrumentalist, he has a Bachelor of Arts degree in music from Laurentian University and began learning to tune pianos while employed as a piano salesman in Winnipeg, Manitoba. Learning from the best technicians, Joe has worked hard to perfect his trade and always endeavors to provide the absolute best quality of service for his customers and their pianos. 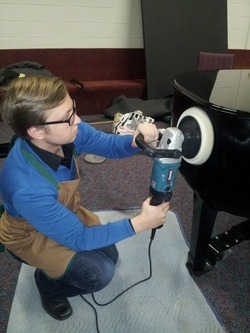 Request a piano tuning or repair today!